The Geological Assistant is a SIRIUS innovation project between university researchers, Equinor, and Schlumberger. The project’s goal is to develop a tool-supported method for exploration geologists to better assess and evaluate exploration prospects by applying established techniques from knowledge representation and formal methods from software verification. The project includes researchers from the University of Oslo and NTNU with expertise ranging from implementation and use of digital technologies, knowledge representation, formal methods, and naturally, geology. 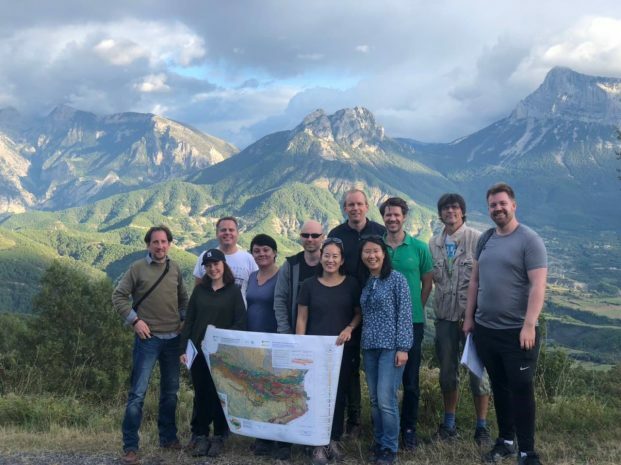 In October 2018, SIRIUS researchers together with representatives from Schlumberger organized a three-day workshop for the Geological Assistant project in Aínsa, Spain. Aínsa is a Spanish village on the south side of the central Pyrenees. This area is rich in different rock outcrops for studying different depositional environments, such as fluvial, deltaic and marine, and structural geological features on both regional and local scales. We arranged the workshop in such a remote area to coincide with the annual master’s level field course organized by the University of Oslo’s geology department. 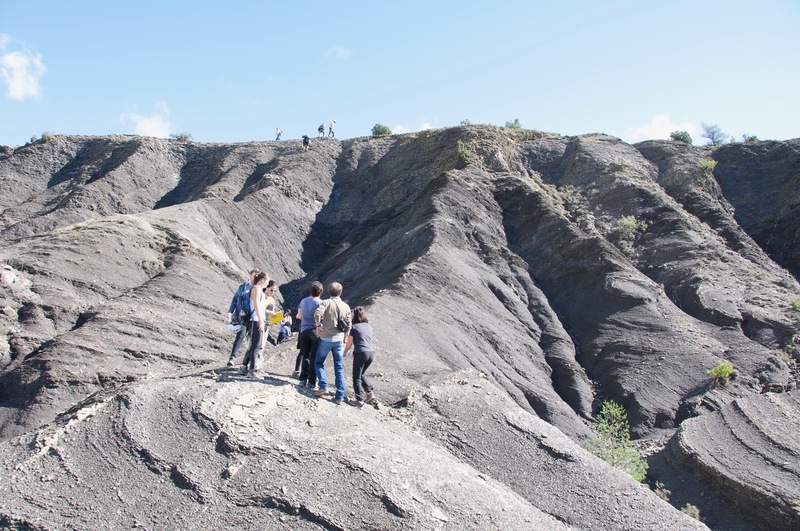 This is a field course on sedimentology and sequence stratigraphy. By being in Aínsa at the same time allowed us to draw upon this group’s geological expertise, as well as providing us with the opportunity to observe geologists at work in the field. We spent the workshop’s first day of the workshop in the field together with professors and students participating in the field course. Our objective was to study the work practices of geologists and learn how they work in the field; how ideas are communicated and shared, and how a geologist reasons about geology. Through observation and active participation in the field activities the project team arrived at an understanding on how geologists through drawings, use of concepts, body movements, and by iterating between regional, basin and local scales exchange their ideas and convey their interpretations. The following day was spent in the hotel’s conference room working on distilling and shaping our observations and experiences from the previous day into a design. We first defined an end-user workflow, which in turn formed the basis for design of an end-user experience. 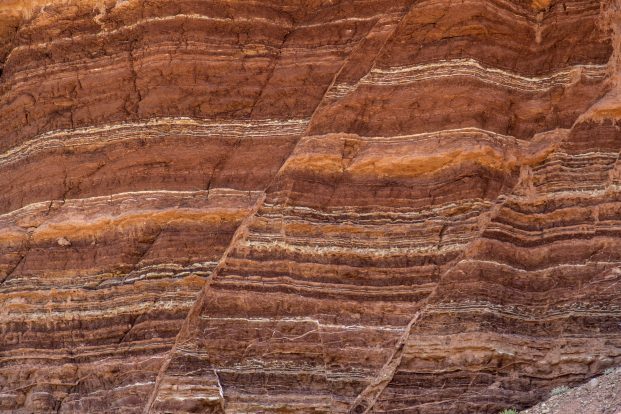 Linking the design with formal logic we have a framework where geologists can create a conceptual geological model that combines observations from the field with pre-existing knowledge and the geologist’s interpretation. In addition to ensuring that the resulting narrative is in agreement with formalised geological knowledge the system will help the user make a better model by challenging their assumptions and identify corresponding knowledge and data. To further expand and challenge our understanding of the requirements for the Geological Assistant the third and last day was again a day in the field. The geology professors kindly showed us more and new geological cases. While teaching us geology they explained and answered our questions about their work process when reasoning about geology. SIRIUS is grateful to Ivar Midtkandal, Alvar Braathen, Miquel Pyatos More and the students of GEO4216 at the University of Oslo for letting us join their field trip. The workshop participants: Jens Otten, Charlotte Fraser (Schlumberger), Hallgrim Ludvigsen, (Schlumberger), Irina Pene, Thomas Østerlie (NTNU), Ingrid Chieh Yu, Dag Hovland, Crystal Chang Din, Per Kulseth Dahl, Michael Heeremans, Kristoffer Torseth (NTNU).